A group of 26 participants representing 7 Member States (Djibouti, Egypt, Jordan, Kingdom of Saudi Arabia, Somalia, Sudan and Yemen) of the Regional Organization for the Conservation of the Environment of the Red Sea and Gulf of Aden (PERSGA), had the opportunity to attend a 5-day introductory course on ocean acidification in Aqaba, Jordan from 30 September to 4 October 2018. This regional workshop was organized by PERSGA in partnership with the IAEA Ocean Acidification International Coordination Centre (OA-ICC), The Aqaba Special Economic Zone Authority (ASEZA) and the Marine Science Station (MSS)/University of Jordan and Yarmouk University. 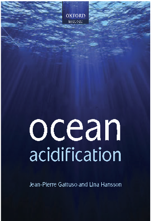 The workshop sought to give participants entering the field of ocean acidification a solid overview of the topic, from the underlying chemistry to its impacts on marine organisms and ecosystems. It introduced methods used to monitor ocean acidification in the field, as well as approaches to assess the risk to marine life using lab experiments. An international group of experts shared their expertise in ocean acidification research through lectures and practical demonstrations. The course covered, among others, the carbonate system in seawater, an introduction to simplified methods for measuring alkalinity and pH, software packages used to calculate CO2 system parameters, as well as key aspects of ocean acidification experimental design and methods to measure physiological responses of organisms, including nuclear and isotopic techniques. The course was one of the first organized in the region on the topic, and was an opportunity to raise awareness about ocean acidification. Discussion between lecturers and participants through interactive sessions allowed the group to assess the capacity needs for each of the participating countries and to identify opportunities to start ocean acidification research. 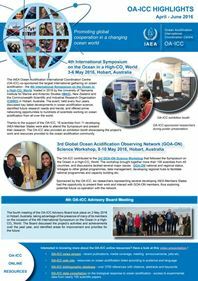 Building capacity in regions with limited ocean acidification monitoring efforts is important to fill current gaps in understanding of the issue and to inform processes such as the United Nations Sustainable Development Goal 14 and its target 3, which specifically seeks to minimize and address the impacts of ocean acidification.